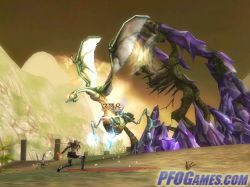 Battle against other players, alone or in strategic groups of up to 49 players, and take part in daily conquest wars. Winners gain access to new villages, new missions and special merchants. 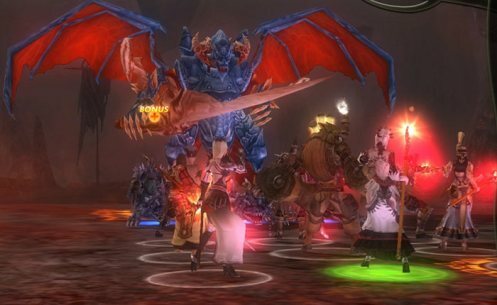 A huge variety of quests and dungeons. 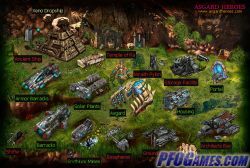 A classic RTS revamped into a classy MMO strategy game. 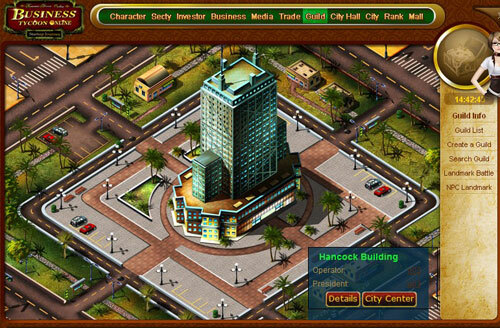 At the beginning, you are given a Greek or Egyptian city that acts more like a MMORPG character than a regular city. There are three skill trees that players use to upgrade the economy, the military and utilities. You also store items within your capital city. To level your city up, you have to complete quests, either with friends or solo. The graphics are nice and cartoony. The quests are diversified, but the beginning of each quest is static – all you are given at the beginning of each quest is a ‘city vulgaris’ – a couple of workers and a town hall which you have to settle. 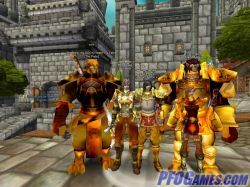 The game lacks strategy for beginners, but PvP offers a real challenge, especially if you’re up against players who have purchased paid features. 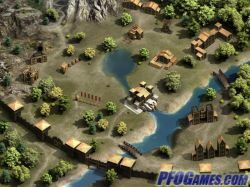 Play Age of Empires Online now! 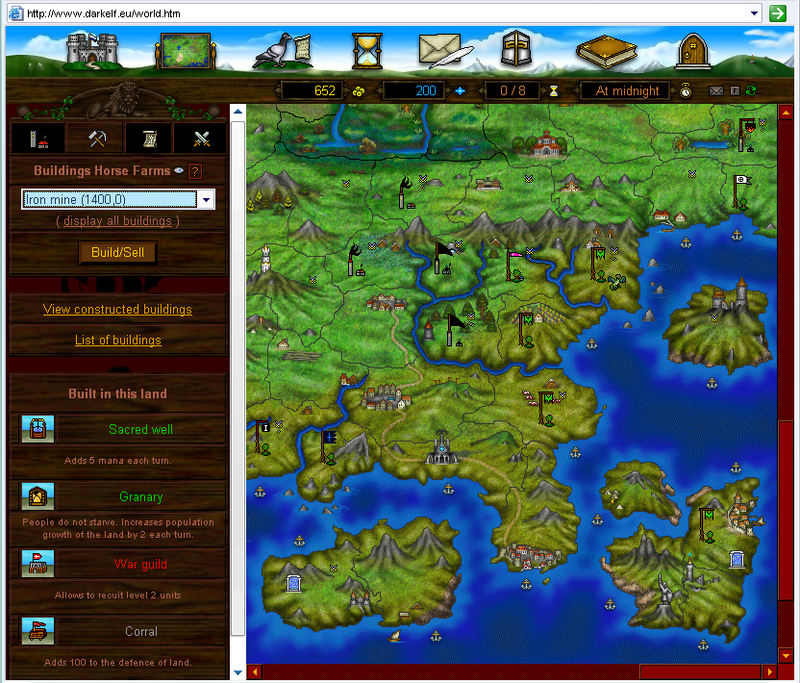 Aragon Online is a browser-based multi-player fantasy role-playing war game with significant economic, diplomatic, and magical components. 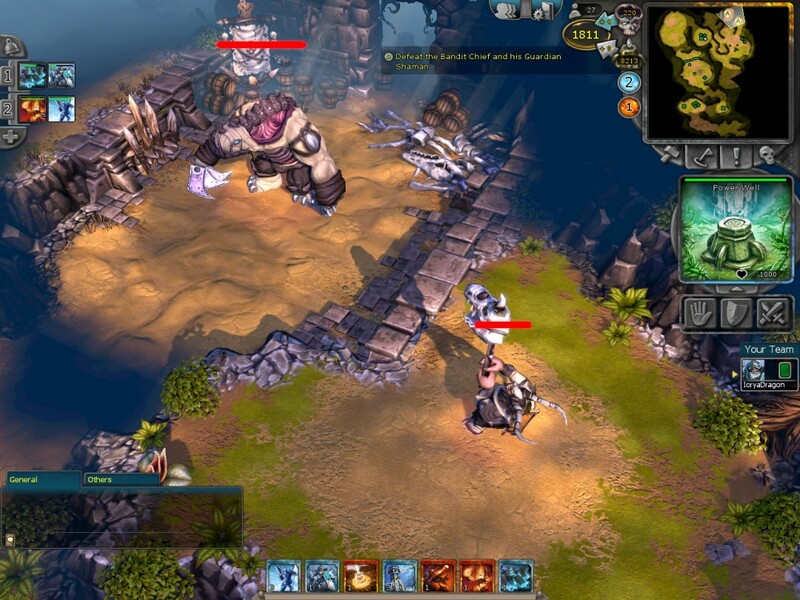 "Artifact is the Multi-Player, Persistent World, Real-Time Strategy game from Samu Games. Build an empire from a single city. Search the world for the Ancient Artifacts and claim them for your own. Then do your best to hold on to them to win the game. Finding is only half the battle... "
Asgard is calling out for heroes. Travel to alien worlds through Stargates. Rebuild pyramids to colonize new planets. The website provides detailed help materials and a wizard-based introduction to help get you started. You are a Cowboy or Indian, trying to win games in the Indian Trading Post and Cowboy Town, so you can buy gold to get train tickets, clothing and more. Form your own gangs with other players. 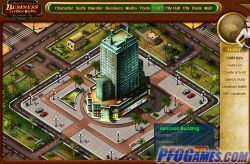 Strategic conquest, hero gathering and city building. Batheo uses a map-based narrative to guide you to defeat NPC heroes in order to advance you to the next map (while being able to recruit the defeated heroes). 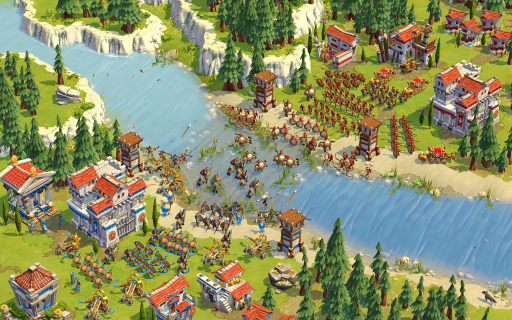 You prepare your armies and then watch the battle unfold on its own -- how well you do depends on how well you've prepared, so gathering, refining, and training are essential elements in the game. Paying for extra gold doesn't hurt much either. 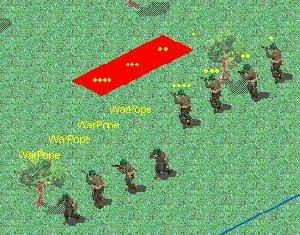 Battle Dawn is an MMO strategy game, played in the browser. 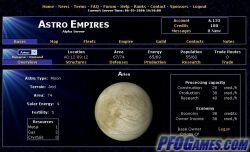 Players start their colonies on three game worlds – Earth, Mars, or ‘Medieval fantasy’ - and each of them has a number of servers. 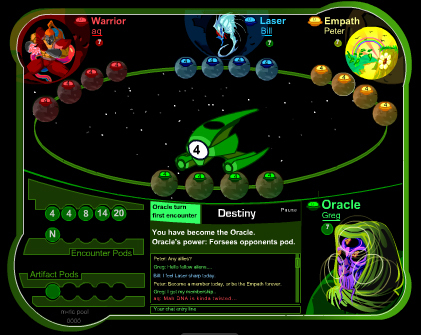 Battle Dawn plays quite differently from other browser-based games, as the game is round-based. Players must form alliances, rally troops, spy or even nuke their opponents in order to capture the ten relics present on each world map; once it’s done, the server gets reset. 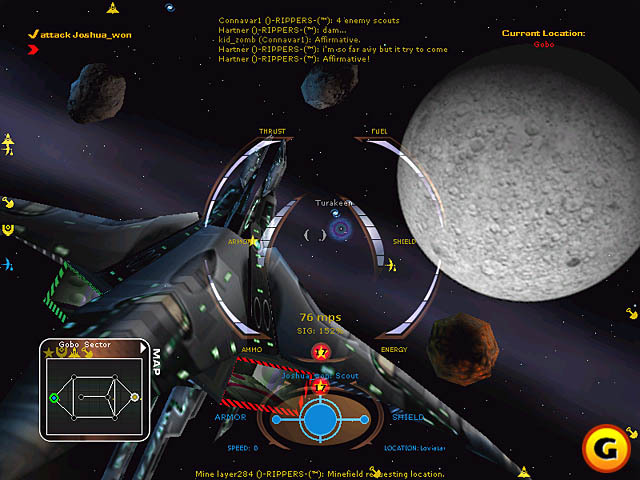 The game has a peculiar interface, reminiscent of older games like Deus Ex or Unreal Tournament, rather than strategy MMOs. The soundtrack is awesome, too. 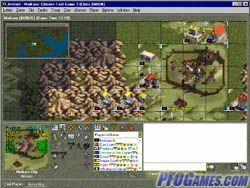 Battle Dawn is slow in terms of leveling and upgrading your colony, but those interested in it will lose hours upon hours fighting to take control over their world. 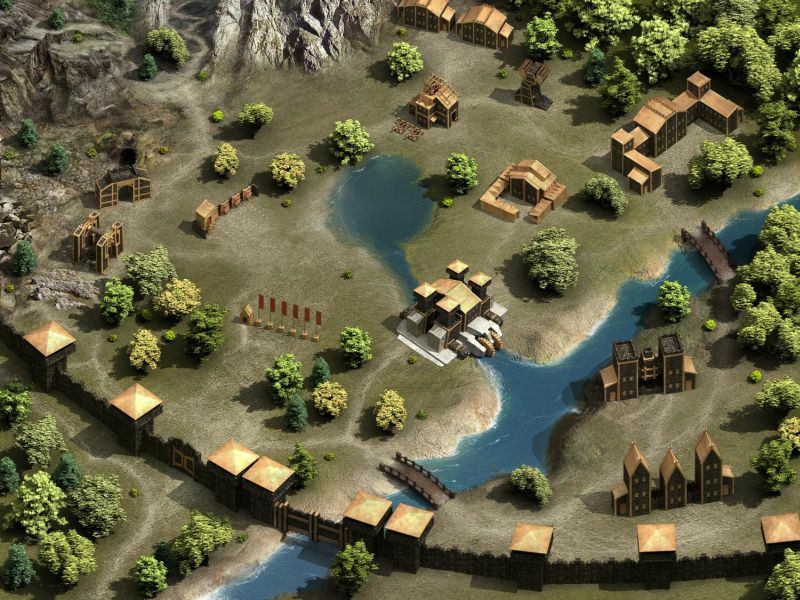 Battle for Wesnoth is a 2D turn-based strategy game with a fantasy theme. Use 200+ unit types with diverse and distinguishing abilities. 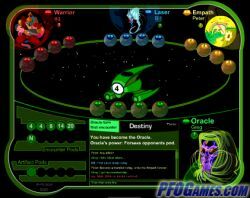 Choose from sixteen races and six major factions. 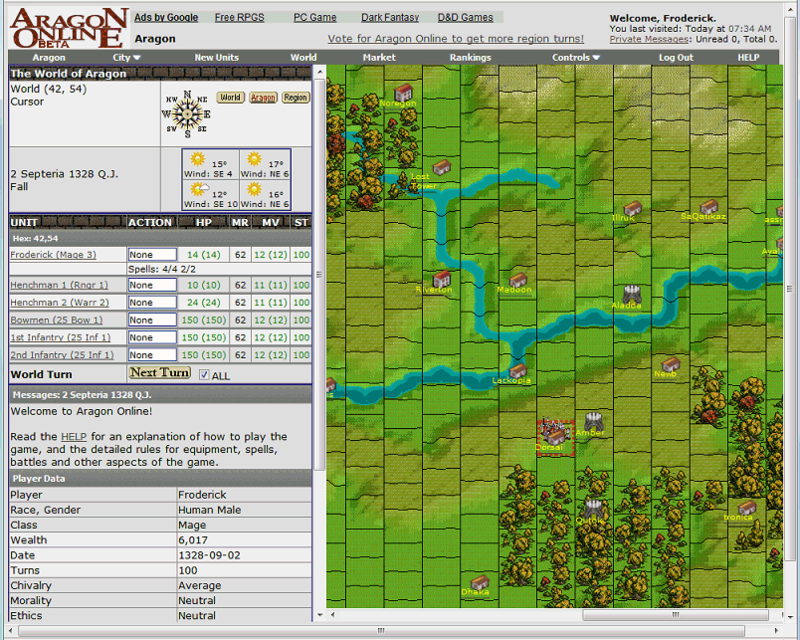 Customize units, compose maps, and write scenarios or campaigns. Fight in epic multi-player battles. 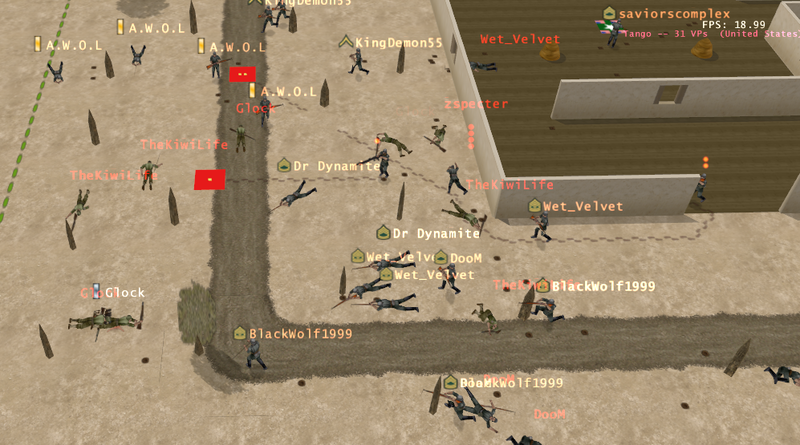 Play Battle For Wesnoth now! 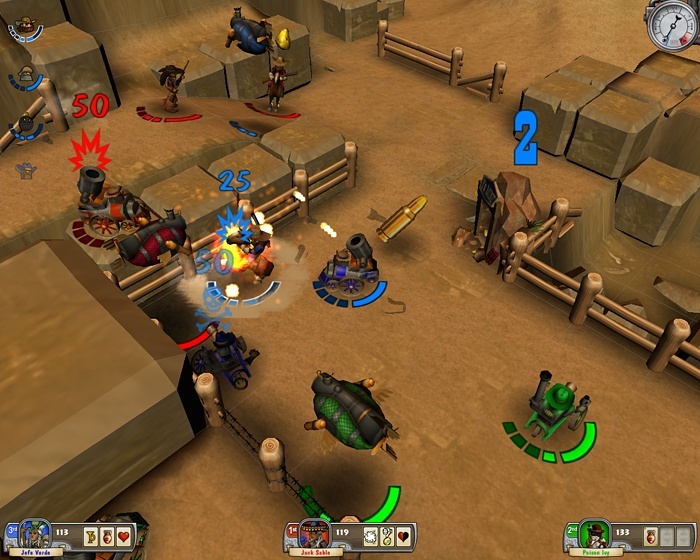 Battle Forge is a card-based RTS with magnificent graphics. Sell or trade units. Collect cards representing buildings, units and spells. PvP or PvE. Play any scenario without purchasing upgrades. A Google Maps-based warfare strategy game where millions of players begin and only one player conquers the world. Expand, ally, attack and dominate. Big Farm is a casual farming simulator played in the browser. Players start managing a farm and plant fields, sell harvest as well as manage expenses, all to grow their farm. 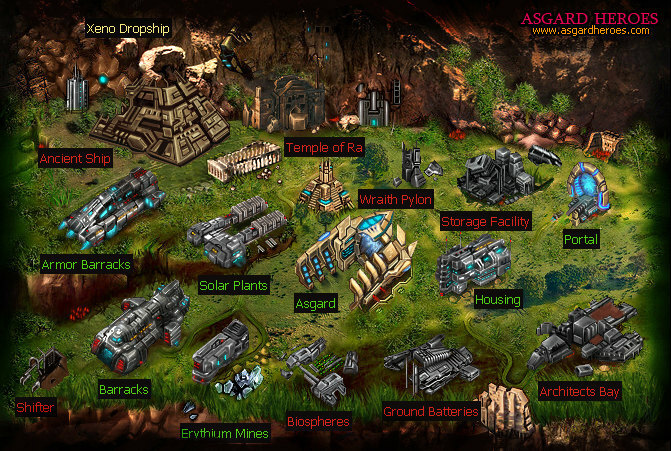 The gameplay mainly consists of harvesting, planting, reaping and selling produce. From time to time players can construct new buildings such as houses for workers, new fields and mills for making flour. Gold, the premium currency, can be acquired without paying but it’s an arduous task without doing so. New players are guided by quests which award money and experience. The graphics are nice and the quest givers can be quite funny. Big Farm is a casual title with all that entails. It’s well-written and can be fun if Farmville doesn’t quite hit the mark for you. At higher levels of play, however, Big Farm becomes increasingly greedy as it just requires so much gold to do anything at all. 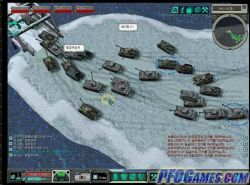 MMO tank simulation based on the German-Soviet conflict during World War II. 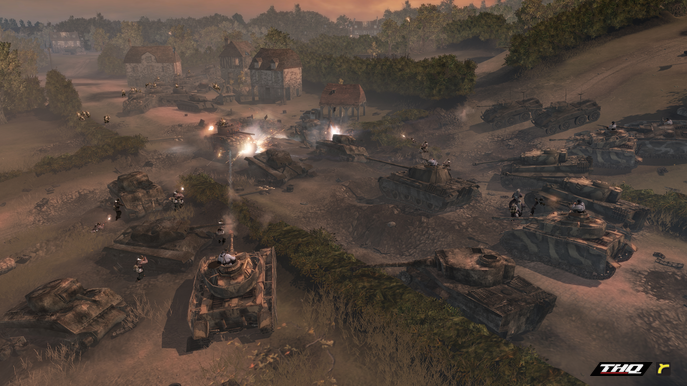 Choose from over sixty German and Russian tanks to level up and do battle with. 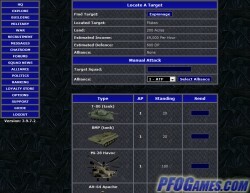 Max out your one-on-one fighting skills or participate in cooperative matches with 200 other tanks. "Botbattle is a worldwide arena for building your own bots and watching them destory other bots online. 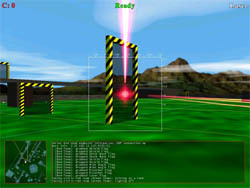 The goal at Botbattle.com is to advance bot programming technology and teach programming methods using a fun mutiplayer game." Gather stone, wood, and ore to build, develop and expand. Castle building is key to providing safety for yourself while establishing your foothold in your region (especially before joining an alliance). 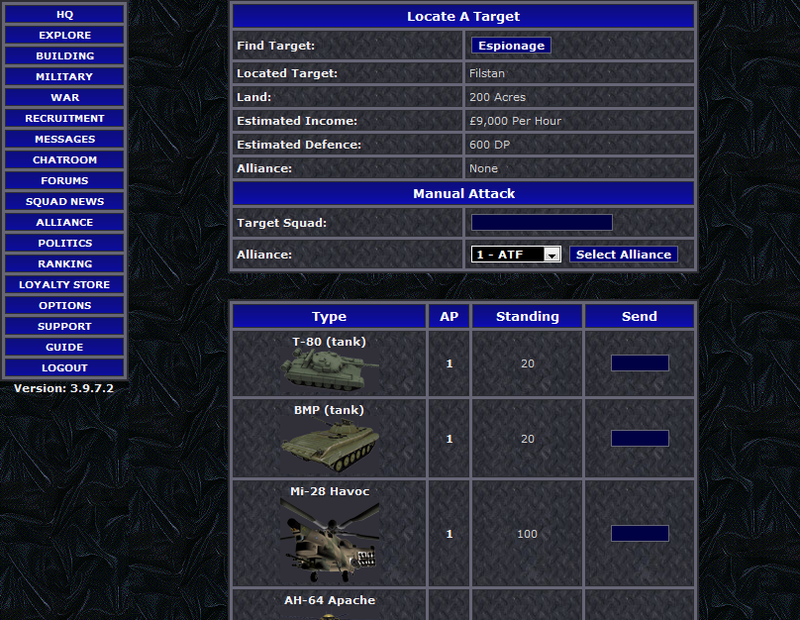 Some different tactical units in this game from the standard infantry, horsemen and siege weapons. 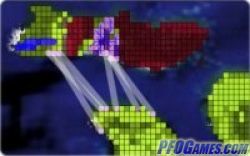 Use spies to infiltrate enemy castles and populate your castle with a healthy supply of them to protect yours. Use senators to convince enemy populations to revolt. Strong player diversity world-wide. Dark Age Wars is an ‘empire building’ MMO released in 2008. It is set in the Middle Ages, and the player, a squire (historically it would mean the player is 14 to 21 years old) takes over an empty but resource-abundant city and tries expanding it and turning it into an empire. The graphics and the overall interface are quite good and play nicely off of the game’s setting. 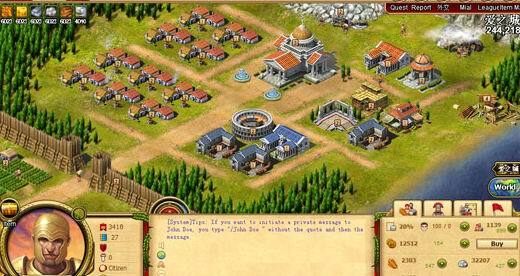 The game features some nice twists, such as players being able to take over the papacy, but the overall gameplay adheres to the genre’s canon. 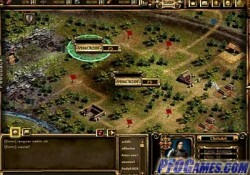 Dark Age Wars is played in a ‘burst manner’, with players having to wait for long periods of time while upgrading, constructing buildings or conducting research. 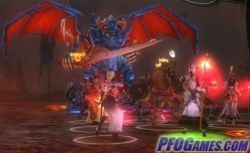 Overall, Dark Age Wars provides a solid strategy experience and should be preferred by players who like logging in and playing a little each day. 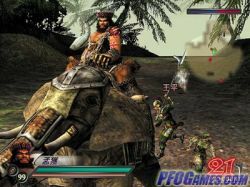 Play Dark Age Wars now! 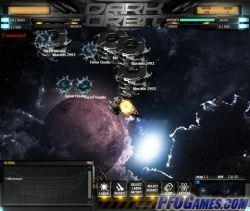 Dark Elf is a multiplayer strategy game set in the realm of The Lord of the Rings. 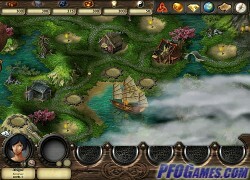 Conquer neighboring lands, build fortresses and magic towers, cast spells and train your heroes. Defeat the Dark Elf who rules this world.